Washington: Former Vice-President Joe Biden scrambled on Sunday to contain a quickly growing crisis for his likely presidential bid, putting forward several former female aides and allies to praise his treatment of women after Lucy Flores, a former Nevada legislator, accused Biden of kissing and touching her. It was the second damage-control statement to come from his team since Flores made her allegation on Friday, and it was released minutes before she appeared on CNN and argued that Biden’s behaviour with her at a 2014 campaign event was “disqualifying” for a presidential candidate. Yet even as Biden defended himself, and his former staff members praised his conduct as a boss, some of the former vice-president’s would-be rivals in the 2020 Democratic field and some allies said that Flores’ claim should be taken seriously. 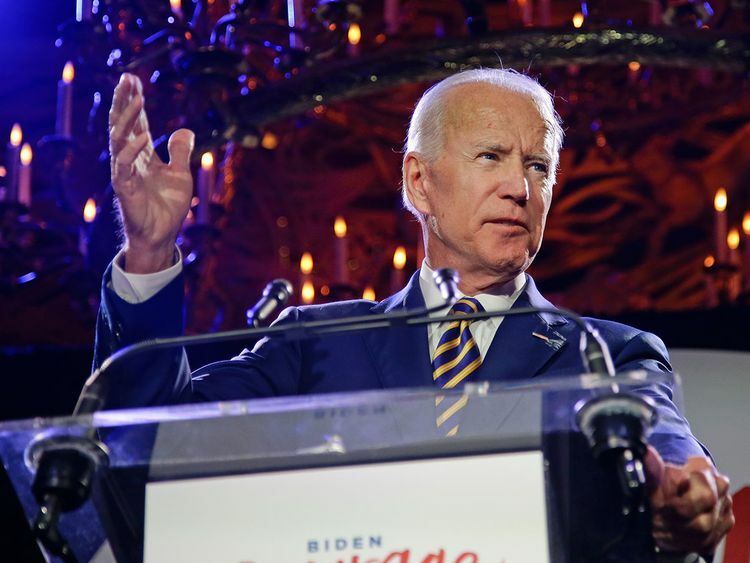 Biden’s advisers indicated on Sunday that the accusation would not dissuade him from entering the 2020 campaign, which they suggest he still intends to do at the end of April or just after. But Flores’ claim, and Biden’s attempt to rebut her story without dismissing it — or her — offered a vivid illustration of the #MeToo-era challenges that await a 76-year-old political veteran known for his close physical contact with women, including hugging, kissing and touching them. The allegation came shortly after Biden faced criticism for saying he wished he “could have done something” when Anita Hill accused Justice Clarence Thomas of sexual harassment — even though he led the Senate committee that questioned her — leading some in his party to brace for an extended reckoning about Biden and gender if he enters the race. The often garrulous Biden, treading gingerly at a moment when women around the world are coming forward to share details about mistreatment by men, only issued a statement through his aides rather than grant interviews. “We have arrived at an important time when women feel they can and should relate their experiences, and men should pay attention,” Biden said. She first levelled her charges in an essay published on Friday in New York magazine’s The Cut. Flores, a candidate for lieutenant-governor of Nevada in 2014, said that when Biden visited that year to campaign for her and other Democrats, he came up behind her before the rally, put his hands on her shoulders and planted “a big slow kiss” on the back of her head. Flores said she felt compelled to come forward now because she believed Biden’s behaviour with women was being left out of political conversations as he prepares for a possible presidential run. And, in recognition of the political peril the former vice-president now finds himself in, Biden’s female aides and supporters rushed to his defence over the weekend, some of them citing anecdotes about when he, for example, offered to get coffee himself when a male colleague asked one of his female aides to do it. “I have often been asked what it was like to work in the US Senate (a famously all-male environment) in the early- to mid-1990s,” Cynthia Hogan, who worked for Biden as a congressional aide and was his counsel when he was vice-president, said in an email Sunday.